Local authorities in Belgium should do more to bring down school costs for parents, which can amount to more than €1,000 a year, according to the Ligue des Familles. New research by the parents' association has found that despite education in Belgium technically being free, parents spend on average €280 a year for a child in nursery school, rising to €1,225 in primary school and €1,550 in secondary school. "Free education is enshrined in our constitution, but it's a myth - especially in Wallonia and Brussels," said Ligue des Familles political secretary Delphine Chabbert. "The problem is well known, but the political will to fix it is still too weak." Costs faced by parents include stationery and supplies, trips, meals, daily bus travel and daycare outside of regular school hours. "It's a big cost for families," said Chabbert. "Some have to make sacrifices to pay for school supplies or trips and this has an impact on relations between parents and the school. School fees must not be an obstacle to a child's academic success." With just a week to go before the new school year - and a month and a half before the Belgian local elections - the Ligue des Familles has singled out several municipalities which have taken "a very proactive approach to lowering costs and reducing inequalities at school". For example, Saint-Josse provides free school supplies, bus travel and daycare before and after normal school hours. Neighbouring Schaerbeek provides free soup at lunchtime to nursery pupils, while schools in Ottignies-Louvain-la-Neuve have scrapped expensive ski trips. 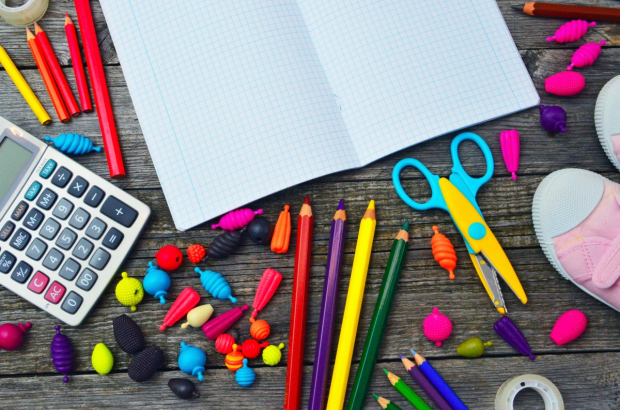 The Ligue des Familles has also taken the opportunity to remind teachers that the traditional back-to-school shopping list given to parents cannot require them to buy a specific brand of notebook or pen, for example. "As a parent it's hard to go against the demands of the school because you do not want to embarrass your child," Chabbert said.